This information is provided to the clients through online tools allowing them to consult and download data. In the commercial real estate and retail sector, it is crucial to quickly have access to reliable data to take the right decisions. 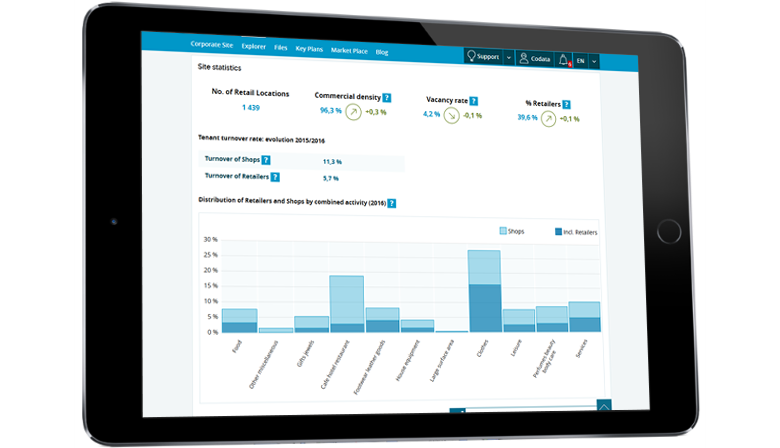 It is true to find AAA Locations, to select the best Location, to analyse competition, to determine and understand the organisation of commercial Sites or to optimise one's network. Codata activity focuses mainly on the commercial offer: commercial Sites and Retail Locations in ten European countries. This focus made it possible for Codata to specialise in order to reach a critical size. As a result, Codata provides its clients with precise and accurate data, that is constantly updated, on ten European countries. 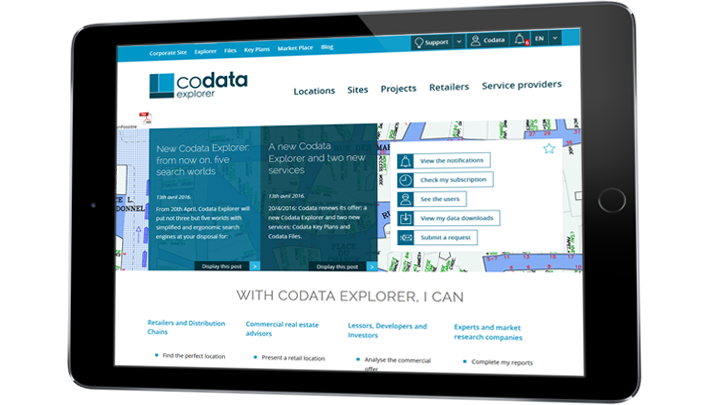 For more than ten years, Codata has been providing a consulting and downloading tool of its database: Codata Explorer. 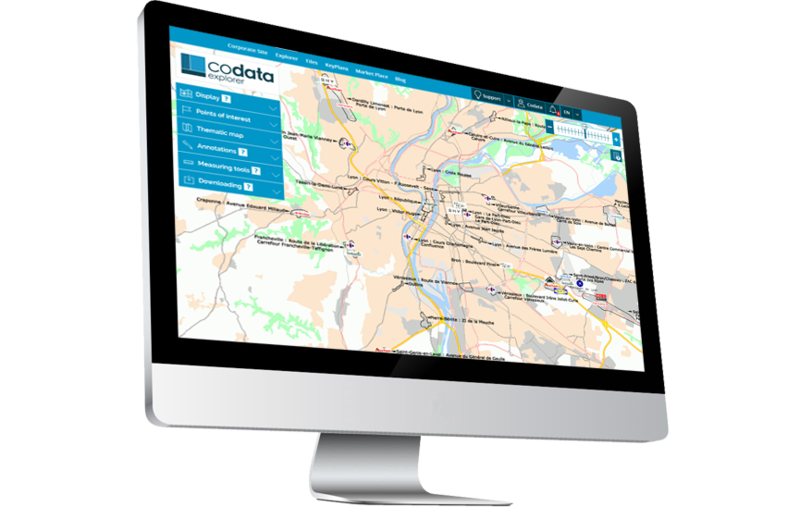 Over time, Codata Explorer has become a real commercial analysis tool that is used daily by hundreds of professionals across Europe. 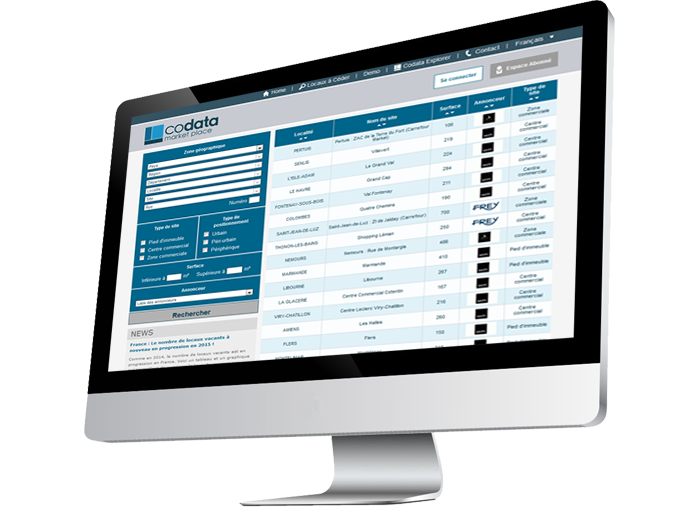 Codata Explorer, it is a set of search engines that were specially designed for commercial real estate professionals. It is also a set of dynamic cartographic interfaces and their various functionalities to meet the clients' needs. 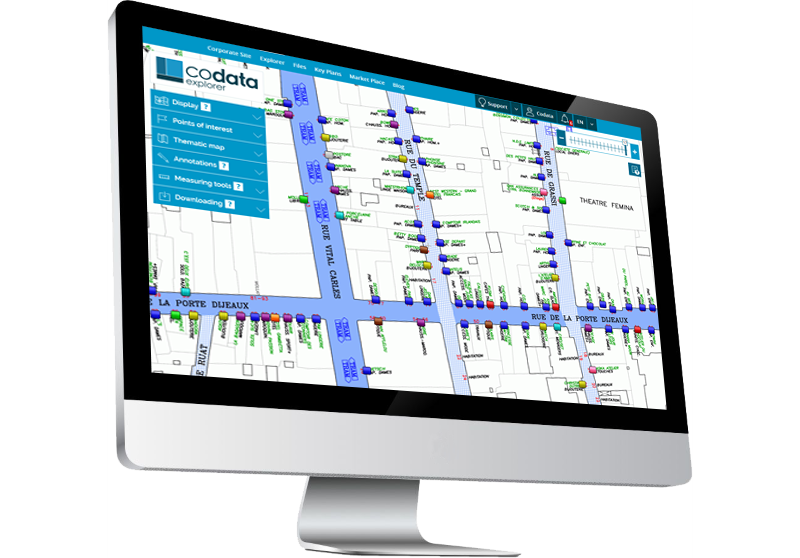 Codata Files allows you to select data of your choice that may be downloaded in XLS format and then integrated into your own databases or in a geographic information system (GIS). 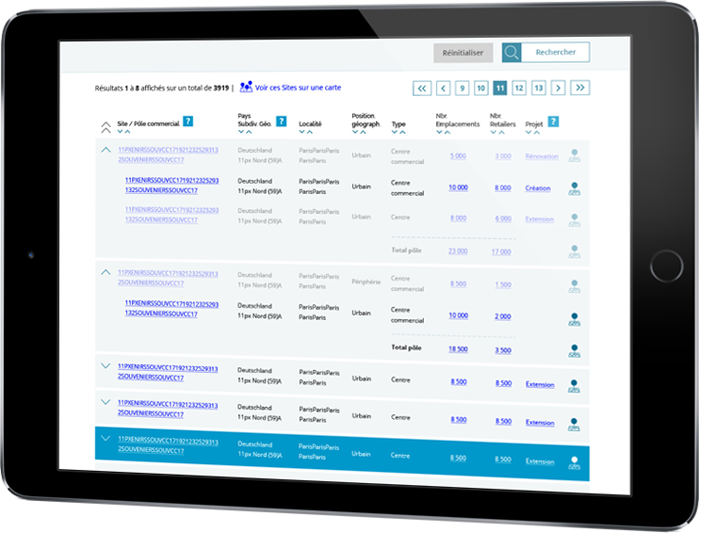 Codata Market Place allows you to consult and place ads of commercial areas that are part of the 700,000 Retail Locations database in 10 European countries. This service offers you unparalleled visibility by commercial real estate professionals in Europe.